Seeking the efficient utilization of existing infrastructure for new technologies, GS Caltex and LG Electronics have agreed to work together to provide various next-generation charging services at gas stations, the companies said Tuesday. The two sealed a memorandum of agreement to build energy and mobility convergence charging stations, which will have all the previous services offered by GS Caltex-run gas stations. New services will encompass electric vehicle charging, rental and maintenance. 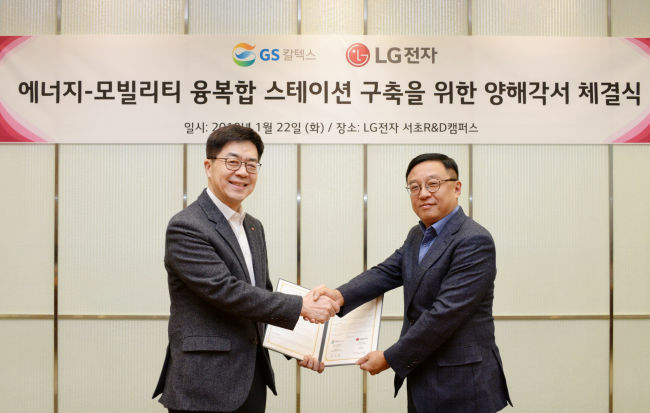 “The new stations will become hubs for services in preparation for the era of electric vehicles,” said LG Electronics Chief Technology Officer Park Il-pyeong. Ultra-speed multicharging of 350 kilowatts will be possible at these stations, LG said, adding that it is also considering the introduction of a robot or wireless charging system. Also being considered is an artificial intelligence digital signage service that will detect malfunctions in vehicles and recommend repairs. 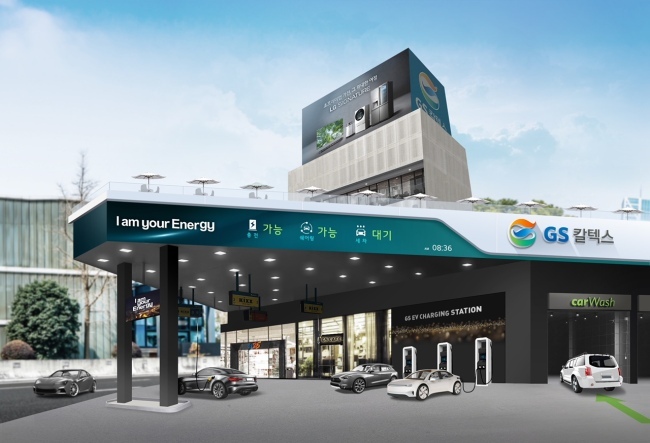 GS-LG convergence stations will be available at GS’ directly managed gas stations starting in the second half of this year and will gradually expand from Seoul to other major cities in the country. GS has nearly 2,500 gas stations nationwide, some of which are directly managed while others are leased. LG has been involved in motor and compressor businesses for electric vehicles. A new team has been established within LG to participate in the latest convergence station business.